There is this somewhat cryptic call in scripture for Christians to "bear fruit"—to actually see something produced from faith and discipleship. It doesn't make sense, from a biblical perspective, for someone to have faith in Christ but show no outward sign of it, to in no way find themselves in participation or correspondence with the love of God in Christ. 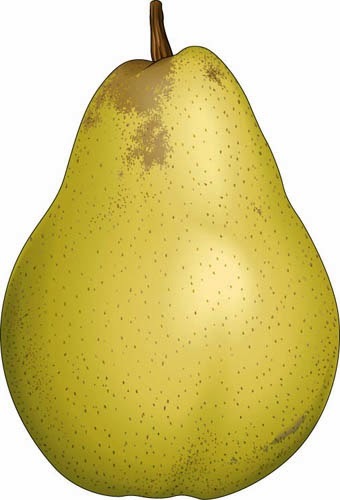 But what on earth does that fruit look like? How do we recognize it? Should we have some strategy or plan for producing fruit? How do we do this? These questions surround us and they can become quite haunting... especially when you're in ministry. You want to know if you're on the right track. If your church is shrinking, does that mean you're not bearing fruit? If your fund-raising is going nowhere, have you failed? We want so badly to measure our fruit by measuring our success, our effectiveness, our influence. But bearing fruit is not so much something you do as something you receive. It's no accident that, in John, shortly after the point where Jesus says, "Those who abide in me and I in them bear much fruit...", he goes on to say "You did not choose me but I chose you. And I appointed you to go and bear fruit..."
I've been reading a lot of Henri Nouwen lately. And recently, a friend of mine asked me to look into what Henri might have to say about this concept of bearing fruit. I don't really have the time to put the appropriate effort into an actual study on the subject right now, but I can speculate as to what Nouwen might have to say. And I think I know what I would have to say. 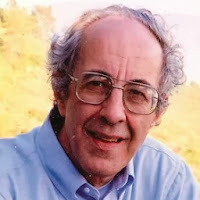 For Nouwen, fruit is something produced not through human effort but through God's action—as the result of one being grounded in God, finding God to be the center of their life, the core of their being. This means focusing less on the fruit—less on how well we're doing, how successful we're being—and more on the soil... in fact, it might mean "holy indifference" to the fruit and an uncompromising focus on the soil. In other words, the fruit you bear is not there for you to measure it, to examine it, or for you to use it as a litmus test for Christian devotion. Nouwen wrote, "...what brings us true joy is not successfulness but fruitfulness." What you must focus on is your rootedness in God, your root desires (i.e. motives, intentions, obedience, and reliance upon God), and God will focus on growing fruit through you. There is a division of labor: you trust and love God as a response to God's love for you, God will grow the fruit. Nouwen has said something to the effect of this: if a word is to bear fruit, it has to point beyond itself, it has to be about something more than itself, it has to emerge from silence and then go back into silence. In other words, the words themselves have to get out of the way and make way for the meaning they are meant to bear. Cryptic as this may sound, I suspect that Nouwen's view of discipleship (bearing fruit) might correspond. It's not about our action, our effort, our ability to pump out one fruit after another. We have to get out of the way and make room for the true meaning of our work—God's work. We have to emerge from silence and return to it. We have to be rooted in God, and the fruit will emerge in our relationships with others and, yes of course, in our ministry. If you are too focused on checking your status, checking your progress, making sure you're bearing fruit, then you're probably in the way, focused on the wrong thing, and you need to return to the silence where God might speak a word. We can't analyze, measure, or strategize love, joy, peace, etc... but we know it when we see it... and it only comes from God's gracious and loving being toward us, with us, and for us. To find ourselves in love, joy, peace, etc., we must find ourselves in God. There's certainly more to be said. The question of community is still on the table (and I know community is of profound importance to Henri). And, as I said, this is somewhat speculative—this is tentatively and non-comprehensively what I suspect Nouwen might say. This suspicion is based on what I perceive to be Nouwen's basic ontological claim: that the humanity of human beings has been affirmed in Christ and that this affirmation has preceded and does precede all human action—we are God's beloved before we even make a move. So the fruit we bear, like the identity we share, comes solely and universally through God's preceding affirmation of us. Therefore, we are not valued or saved by our ability, our effectiveness, or our success... we are valued according to God's goodness.